The focus of this series will be how to improve and market a professional indie music act in the digital age. The first installment will cover how to produce, mic and record a live theater concert for broadband conduits. Production began on December 13, 2005 and featured interviews with Phil Garfinkel and Rob Schnell from Audix, band members Tom Walker, Rich Haddad, Don "The Professor" Regan and Rob Grosso, as well as filmmaker Brian Jude. The clinic will also feature footage from Friday's Child: Live at Luna Stage. 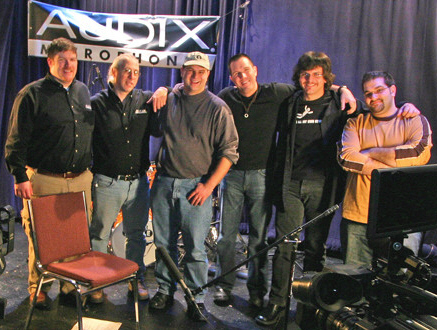 Thanks to Cliff Castle, Phil, Rob and everyone at Audix Microphones, who are showcasing a ten-minute trailer this week at The NAMM Show '06 in Anaheim, California. Thanks also to director of photography Craig Schiavone, editor Steve Maio and everyone at PFS Marketwyse.